This web site is a Valentina Cinelli idea and artwork. 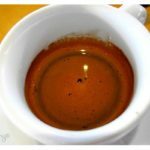 CafeXperiment is a Non-commercial project: that does not in some sense involve commerce, at least relative to similar activities that do have a commercial objective or emphasis. Every pict is under CC licensing and every Autors own the proprieties.